And while I might have mixed feelings about my personal viewing of all four parts of the Ghost In the Shell: ARISE series, one thing I am absolutely certain of my positive feelings for, is the opening theme from Composer: Keigo "Cornelius" Oyamada, which lead me to his other similarly ethereal clubdubtunes from earlier albums (thanks to youtube - more on them in a later post or three :p). One specific song from the OST of Ghost In the Shell: ARISE which gripped my attention as well, is "Jibun Ga Inai" ("じぶんがいない") from salyu × salyu - the original : studio version: MV embedded above ... Cornelius has also produced songs from salyu × salyu in the past as well, with the below music video for "hanashitai anata to" ("話したいあなたと") from her first album "「s(o)un(d)beams」" circa 2011, from label "Toy's Factory". Gorillaz has just unleashed a brand new track “Let Me Out” - featuring Pusha T and Mavis Staples - along with 4 x Remix versions of their previously released tracks with “Saturnz Barz” (Banx & Ranx Remix), “Andromeda” (Bonobo Remix), “Ascension” (Nic Fanciulli Remix), and “We Got The Power” (Claptone Remix). The track "Bite" by Columboa Music JP artist LEO Imai (Full album "VLP" n iTunes) is used for the OP/opening for "MEGALO BOX" (featured on TOYSREVIL + I Not Otaku!). Featured above is the OP of the anime itself, while embedded below is the "studio live" version which you might have to view on youtube, depending on which country you are in :p). In anticipation of their new album release, “Humanz” - out April 28 (Pre-order / stream), Gorillaz unleashes a quartet of tracks from said album, one of which is a full-on music video titled “Saturnz Barz (Spirit House)” - (Experience the 360º view HERE #onTOYSREVIL) - along with “Art Track(s)” titled “Andromeda”, “Ascension” and “We've Got The Power”. “Saturnz Barz (Spirit House)” feats the vocals of Jamaican dance hall artist, Popcaan. "Andromeda" features the American rapper D.R.A.M., “Ascension" features American rapper Vince Staples, and Jehnny Beth of the English rock band “Savages” is heard on “We've Got the Power" (Info). With the debut of the second season for "Gate: Jieitai Kanochi nite, Kaku Tatakaeri - Enryuu-hen" anime, comes new OP and ED songs, with the top video being "GATE II: Sekai wo Koete (GATE Ⅱ ～世界を超えて～)" by Kishida Kyoudan & The Akeboshi Rockets, while the below closing song is titled "TBA" by Tuka (Hisako Kanemoto), Lelei (Nao Touyama), Rory (Risa Taneda). 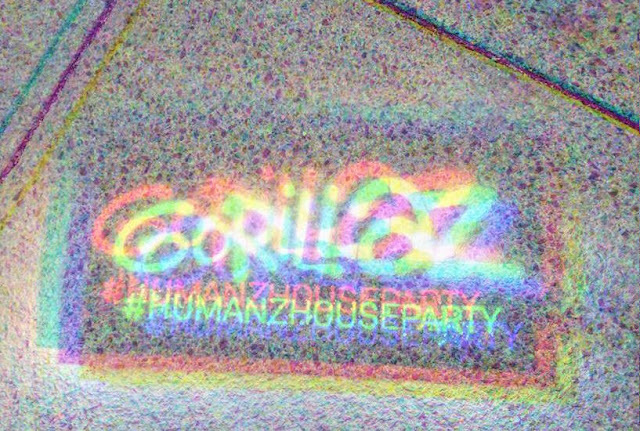 Another round of remixes (adding to the previous selection) of tracks first revealed in late-March, with original tracks are taken from the new album “Humanz”, out April 28 (Pre-order / stream here: http://gorill.az/humanz) - in anticipation of the April 21st launch of the #HUMANZHOUSEPARTY (*Find out more HERE #onTOYSREVIL). Gorillaz - Saturnz Barz (Baauer Remix), featuring Popcaan. Andromeda (ZHU Remix), featuring D.R.A.M. Andromeda (Purple Disco Machine Remix) featuring D.R.A.M. Let Me Out (Banx & Ranx Remix), featuring Mavis Stapes & Pusha T.
I have little doubt the anime "My Hero Academia" had been an entertaining watching, since devouring the entirety of Season 3, and keen to check out S4 (but not exactly keen to backtrack to Seasons 1 or 2, unfortunately TBH) ... and one key aspect that had gotten me "pumped" to watch each episode, is without a doubt the opening track "ODD FUTURE" by UVERworld! Had a chance to delve further into the song (thanks to this fanmade mashup), with the above being the actual / original Music Video from UVERworld (*they're 32th single btw), while featured below is the opening track sequence from "My Hero Academia" - both of whom sounds ever so slightly different, but still invigorating nevertheless! In addition to the Opening and Ending songs, the soundtrack heard is an inspired approach to the modern dwellings of "Hellsalem" that which once was "New York City", in the fictional world of "Kekkai Sensen" AKA "Blood Blockade Battlefront" anime! A preview of five tracks from the OST - with music composed by Iwasaki Taisei - has hit the net, and previewed here. The soundscape features a rich fusion of big band, swing, jazz ("Catch Me If You Can, Snap Out", "Footloose") - which truly fills the anime with a certain depth somewhat associated with the grandeur and glamour of old time big tunes, IMHO. There's also a tinge of "fun pop" with "Toy Blues", and of course the pre-requisite "heavy" opening theme. Have a listen. 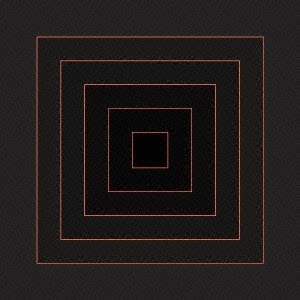 UPDATED: All tracks since uploaded on youtube. The OST can now be purchased now on Amazon! South Korea's BLACKPINK latest single "마지막처럼 (AS IF IT'S YOUR LAST)" can be downloaded via iTunes + AppleMusic.